This dainty band is wonderfully paired with any ring! .925 sterling silver shows subtle designs in the shape of the ring as well as etchings along the edges for an extra dazzle. 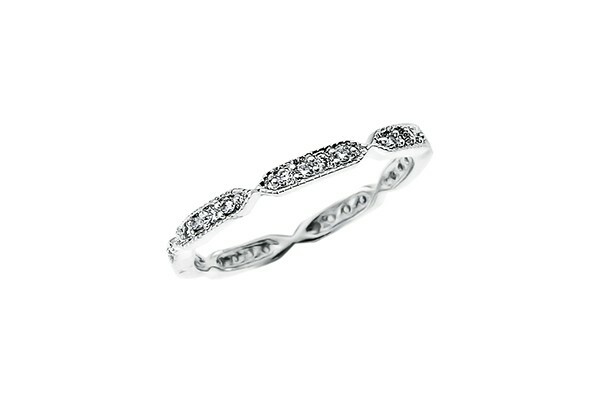 Pave set simulated diamonds are featured all around this band! Perfect on any finger and stacked with other bands!